Dogdays began as an idea because we miss our dog so much when we are on holiday and worry if he's in kennels. So we began to think about what alternative there is. As Sue is a qualified dog trainer and has had dogs all her life, we came up with the idea of not just "dog friendly" holidays but of a holiday putting your dog first so that you know his needs are seen to whilst you can also have an enjoyable time and a fun place to stay. There is the option for some training time, playing with our friendly lab/collie cross Raven or some activity work, as well as the opportunity of lovely long walks. We offer free use of dog training DVDS and books to read, as well as other DVDs and books. Sue has written two novels based on her experiences running the Mid Wales Bird Hospital and these are free with extra nights. 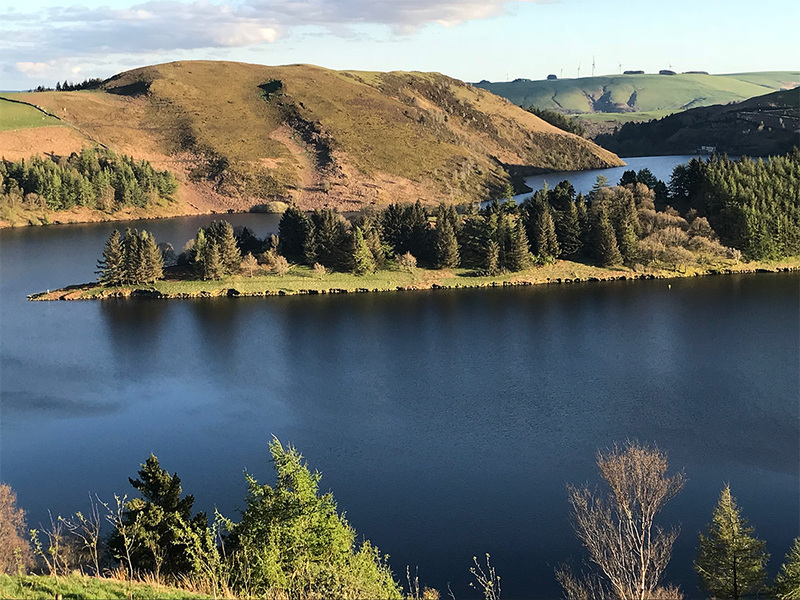 We live in a beautiful part of Mid Wales - often referred to as a little bit of paradise - and have the bonus of being next to Woodland Trust wood, Gwernafon, where you can walk your dog off-lead. So we look forward to sharing all this with you with or without your dog(s).